Comment: In need of someone to lay plywood down in attic. Approximate area is 400â x 270â. Plywood has already been purchased, just needs to be nailed in. 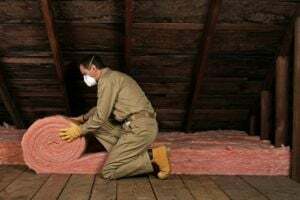 Comment: I would like to get an estimate for new insulation in our attic. Comment: Insulation is hanging down under the house. Some needs replacement and some needs to be stapled back up. Comment: Insulation in the attic above the garage which is now a small bonus room. Murfreesboro Insulation Contractors are rated 4.90 out of 5 based on 279 reviews of 13 pros. Not Looking for Insulation Contractors in Murfreesboro, TN?